The Ultimate Starter Plant Food! 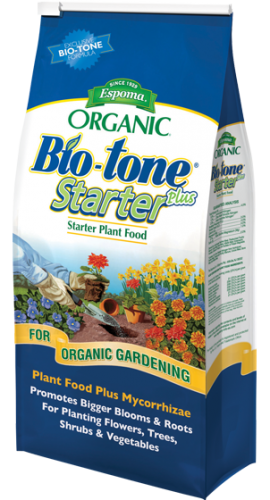 Bio-tone(R) Starter Plus is an all-natural plant food that is combined with a stronger concentration of of beneficial bacteria. Grows larger root mass to help plants establish fast! Promotes bigger blooms and reduces transplant loss. Use when planting all flowers, vegetables, trees and shrubs.